We love the Smoky Mountain area. The views are just breathtaking and there is just so much to do! Even in the middle of tourist season I just feel so much more relaxed! 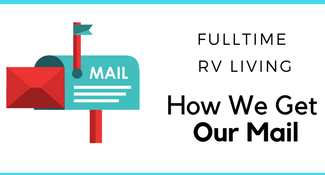 That doesn’t mean we blow our budget when we visit! There are 23 free things to do in Pigeon Forge TN! Right next door to Pigeon Forge is Gatlinburg Tennessee and they have 15 great free things to do there as well! We love visiting the area! There is so much to do we haven’t even scratched the surface! 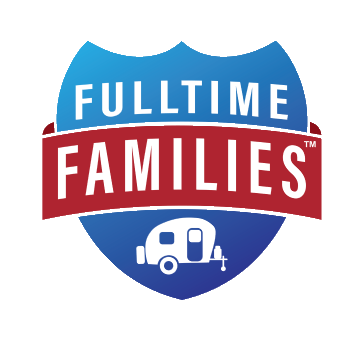 When we visit we stay at Eagle Nest Campground which is a Passport America campground. It’s just far enough off the action to be peaceful, right at the base of one of the smaller mountains, near a place to refill propane, near Kroger and a minute drive you are back in the heart of Pigeon Forge and right across from the Island. 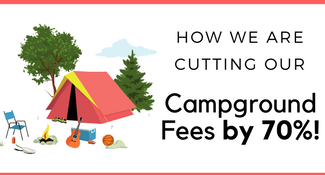 If you are looking for the best deal in cabins out in the mountains make sure you look for places to stay on Airbnb. You can also get a free $40 Airbnb credit when you sign up for a free account via my link. I also highly suggest taking a day and crossing the mountains and heading into Ashville, North Carolina and visiting the Biltmore Estates. The mansion and the grounds are breathtaking. Speaking of the Island lets get on the list! 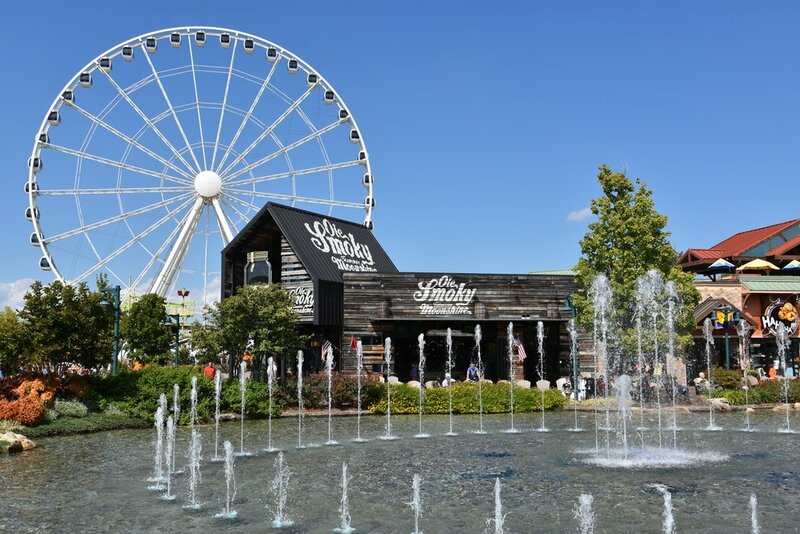 Walk the Island – We loved spending time at the Island in Pigeon Forge. Paula Deen has a restaurant here, there is a Margaritaville hotel, a water fountain that puts on a great lighted show several times a day, there are rides and so many shops! Oh, don’t forget the free samples of moonshine from Ole Smoky Moonshine. One of my favorite free things to do in Pigeon Forge TN. Visit Smoky Mountain Knife Works – This is the worlds largest display of knives, there is also a museum for all ages. Patriot Park – A great place to relax and feed the ducks! Take a stroll along the path of flags, including one from every state. Old Historic Mill and Old Mill Square – The Old Mill was built in 1830 and is almost 200 years old! Take a tour of the milk and see how it works, walk the shops and see how fudge is made, sit by the river and more. 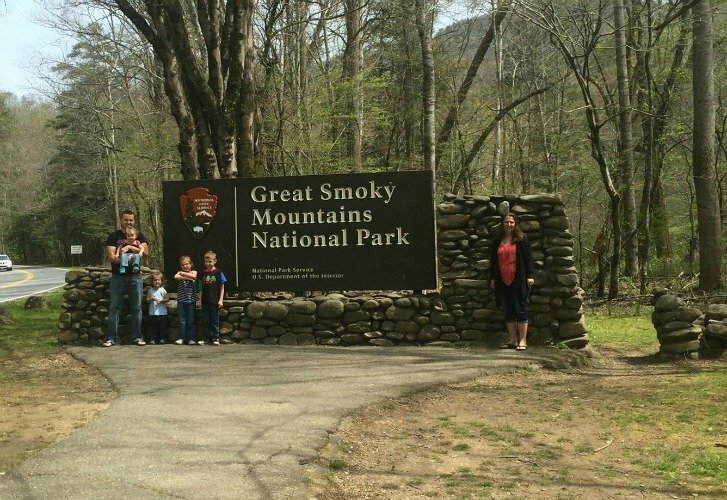 Smoky Mountain National Park – There is so much to do in the parks, hiking, waterfalls, camping, animals sightings, photo ops, and more. A Drive Through Cades Cove – Also located in the Smoky Mountain National Park this is an 11-mile drive around a one-way loop around an open-air museum. There is a self-guided map before you enter the loop (but no cell service!) and it tells the story of the cove, the people that lived there before the National Park came in their way of life all that time ago. This is one of our favorite free things to do in Pigeon Forge. Meet the Dixie Stampede Horses – While the Dixie Stampede show costs money, each day in front of the building you can meet the horses, talk tot he trainers and more. 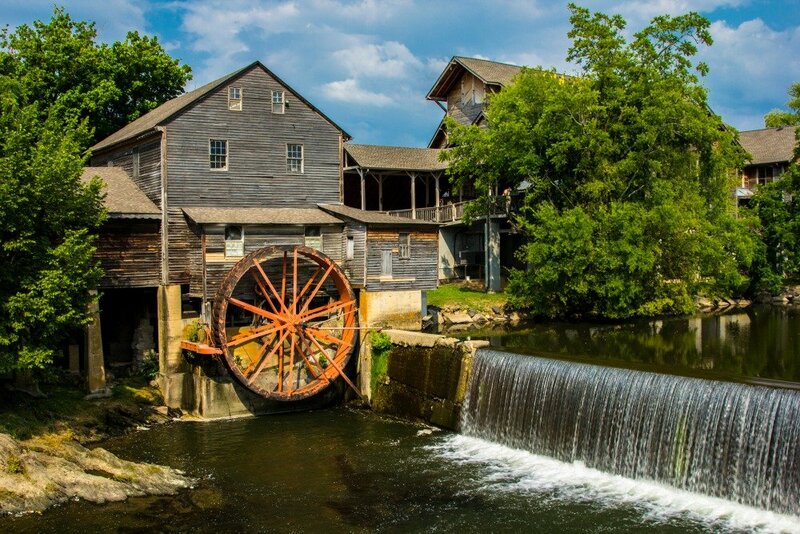 Drive the Tennessee Heritage Arts & Crafts Trail – This is an 8-mile trail of many of the amazing artisans in the Smoky Mountains. Many of them make their items right on site and it’s free to watch. 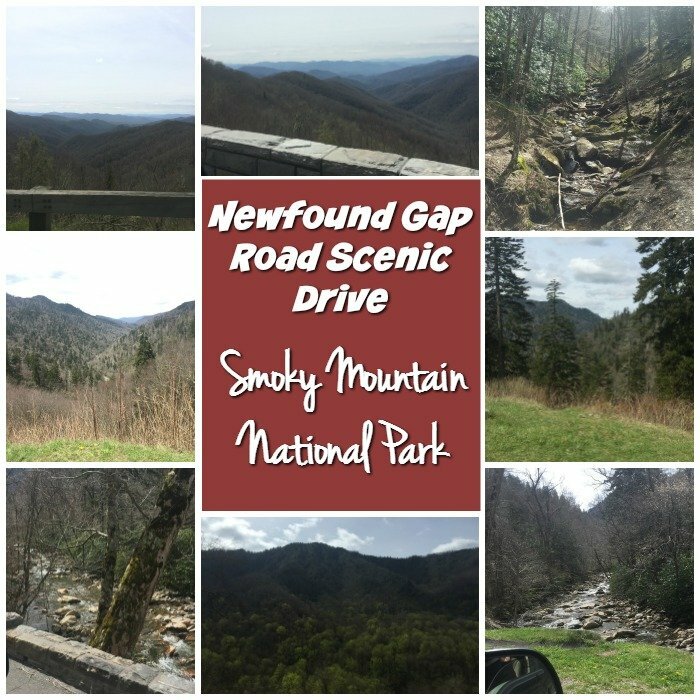 Newfound Gap Road – If you are in the mood for a drive I suggest the Newfound Gap Road from Gatlinburg through the Smoky Mountain National Park to Cherokee North Carolina. This is where many of the best views are, most of the animal sighting is and it’s so worth the drive! Even if it’s just a part of the way drive. Visit a Gatlinburg Moonshine Distillery – Another great one for the list of free things to do in Pigeon Forge TN is to take a tour for free of Smoky Mountain Moonshine, Sugarlands Shine, and Doc Collier moonshine. 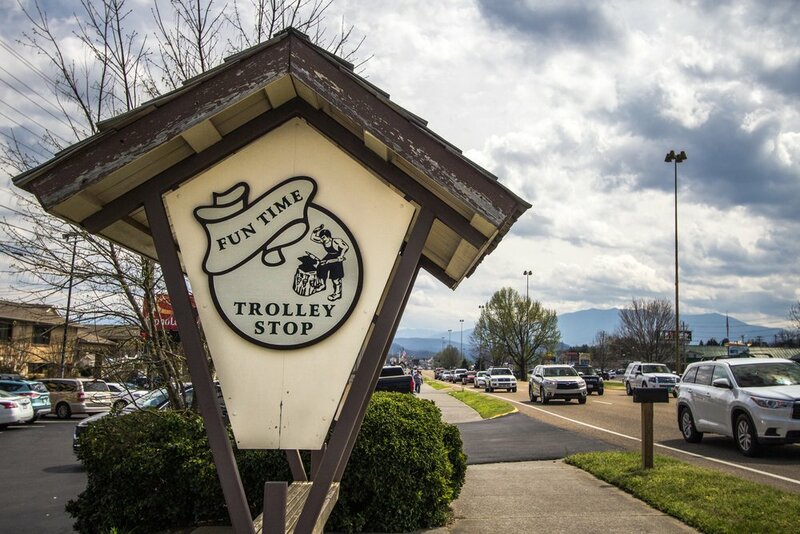 Ride the Gatlinburg Trolley – The trolley while it is only in operation during peak season, it is free to ride around and take in the area and get to see some of the attractions or even people watch. Bush Baked Beans – Tour the home of Bush Baked Beans, see a movie on the history of the company and many exhibits. If you wish to spend money on lunch they have a great little place to eat as well. Shopping – There are so many areas to go shopping, outdoor-themed malls and more. 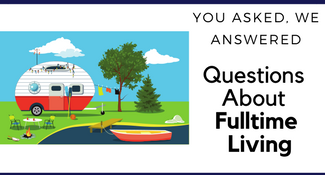 Festivals and Events – There are so many events around the year from their famous Christmas celebration to the BBQ and bluegrass festival. 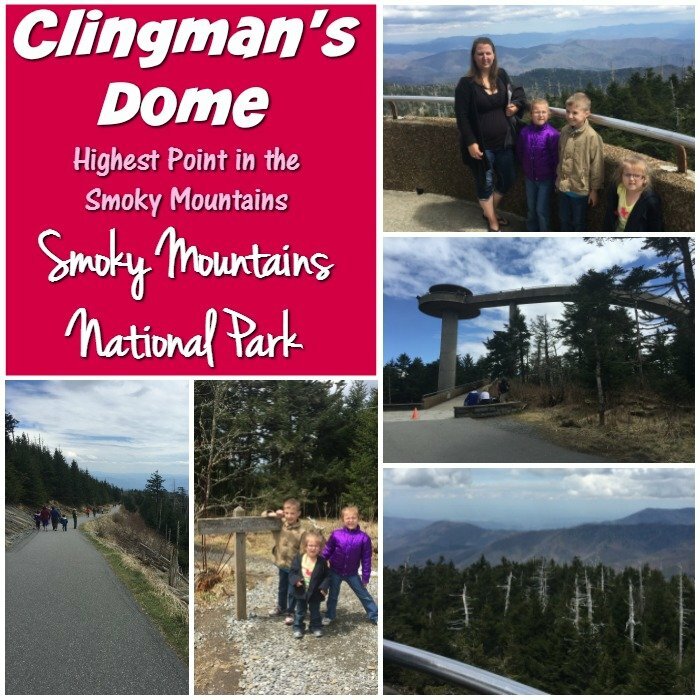 Clingman’s Dome – Located at the highest park of the Smoky Mountains this dome is just under a half-mile hike from the parking lot, pretty much straight uphill. I thought I was in decent shape but apparently not! I had to sit down a few times. But it was completely worth it. 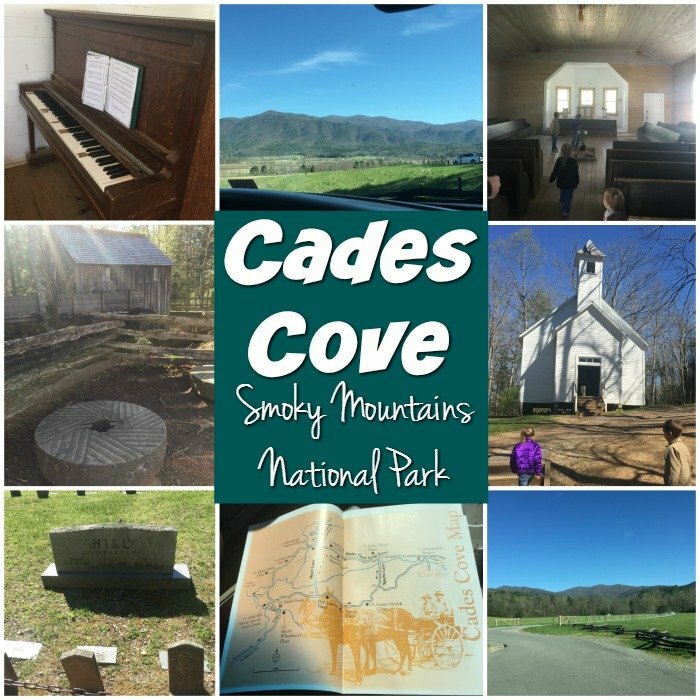 Roaring Fork Motor Nature Trail – This is a 6-mile one-way loop like Cades Cove where you can take in the Noah house, the Roaring Forks cemetery, and one of the early settler of the area’s villages. 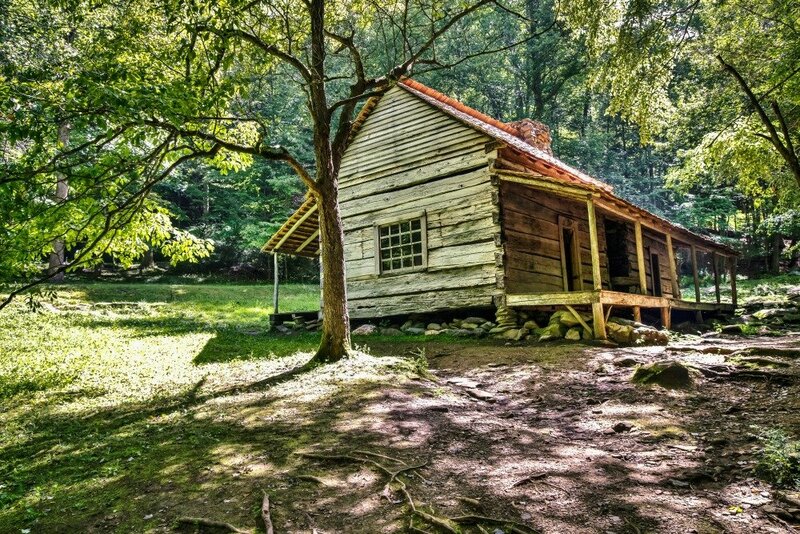 Visit the Oldest Cabin in Gatlinburg – Located near the Gatlinburg welcome center this cabin was built in 1807 the Ogle Cabin was moved there from the area near the Ripley’s Aquarium. Little River Railroad & Lumber Company Museum – Learn the history of steam logging in the Smokies. There are many outdoor exhibits including a vintage caboose and a portable Frick steam engine. 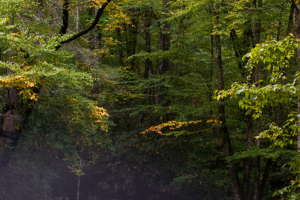 Leaf Looking – In the Fall months, a drive through the Smoky Mountain National Park is just breathtaking. There are people that flock here JUST for leaf looking and to get pictures. 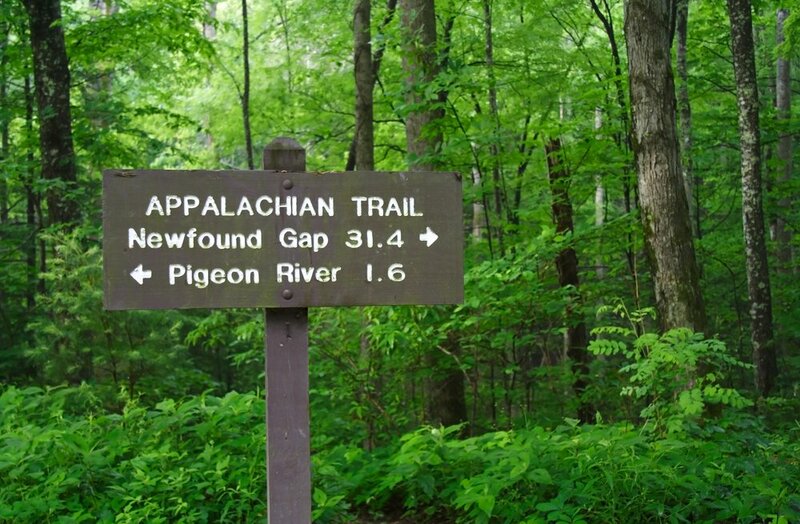 Hike (part of) The Appalachian Trail – The trail passes through the Smoky Mountains and you can catch it at many of the areas of the park. Sugarlands Visitor Center – The visitors center for the Smoky Mountain National Park is free to visit. Your visit will include a 20-minute film on the park and a trip through the museum. Don’t forget to have your kids get their junior ranger badges. Great Smokies Flea Market – Clearance deal, thrifting, food, and a farmers market all rolled into one. Free Child Admission – The area is so family friendly that many attractions and shows have free admission for kids. 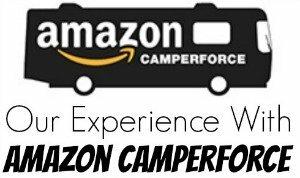 If you have some time while in the area you can head into Knoxville there are 25 free things you will want to check out there too. This is my families favorite free things to do in Pigeon Forge TN, do you have some we should add to the list?